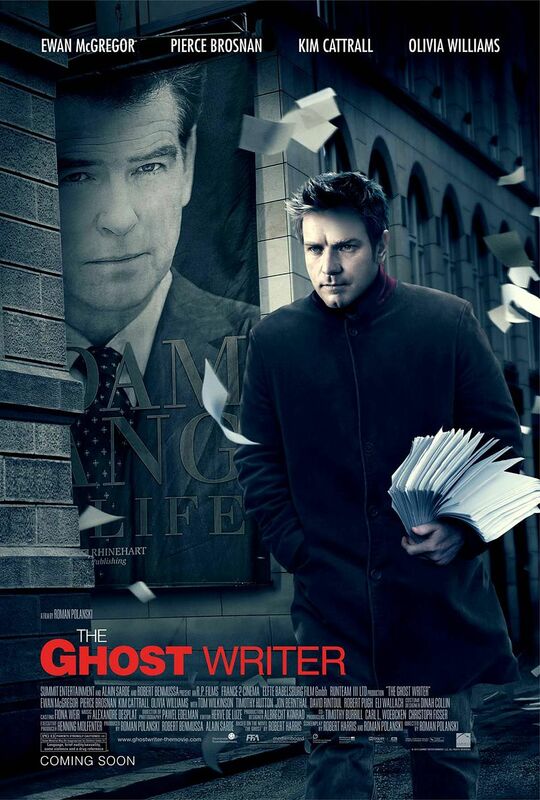 The Ghost Writer, Roman Polanski’s latest movie is a well-crafted and well-acted thriller adapted from a book by Robert Harris, with a political twist that might even give Gordon Brown an extra shiver on the eve of the general election. The plot involves a former British Prime Minister, Adam Lang, who has received ten million dollars to publish his memoir, and an unnamed ghost writer who is hired by the publisher to rework the far too boring manuscript. Pierce Brosnan plays a Tony-Blair-much-inspired Lang and he delivers one of his finest performances in years, at least since his underrated yet brilliant The Matador. Ewan McGregor is the Ghost in the title and, like Brosnan, he is as well on top form. 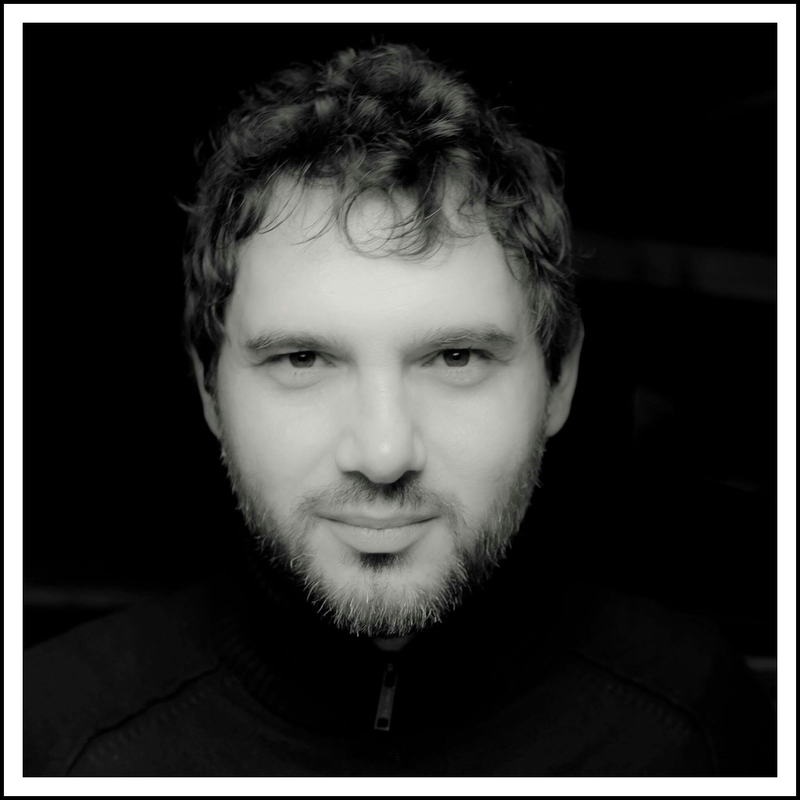 He plays a character who is not only without a name, but also without a family, or history. His only friend or the only person he phones during the whole movie is his agent. We learn from the beginning that he is also a not particularly successful writer, (his latest work was the biography of a magician titled “I Came, I Sawed, I Conquered”): a perfect ghost for the work and the empty vessel for the audience’s projections through the story. McGregor is however genuine and believable even when the script and Mr. Polanski’s direction put him in situations that border parody – as in one of his scenes – kind of hot – with Lang’s wife Ruth (an excellent Olivia Williams), a Cherie-Blair-inspired character. Rewriting Lang’s manuscript seems a straightforward, mind-numbing but well paid job ($250 thousand dollars for a few weeks errand). But the more the Ghost settles within Lang’s environment the more he finds out that things are not as they look. The opening (brilliant) scene of the movie informs us that the body of the former ghost writer (also Lang’s closest aide for years) was recently found washed ashore on the gray and rainy coast of Martha’s Vineyard (USA), the island where Lang is currently living with his entourage trying to finish the book in time for publication. Dismissed officially as alcohol-induced suicide or simple accident, McGregor finds out that there may be more to it. An old man (Eli Wallach) tells him that if one considers the currents that sweep the island the body should have never washed up where it was found. He also uncovers – by chance – evidences of inconsistencies in Lang’s manuscript. Reasons, perhaps, why the former aide ended up as he did. Meanwhile, Lang is under heavy fire from his own home front. The public hates him for his support of the invasion of Iraq. And now his former foreign minister accuses him of having allegedly authorized the CIA to deport and torture terrorist suspects from out of Britain. Lang risks an indictment from the International Criminal Court of Justice for his role in the matter. The public is outraged and wants his head: his only ally is the US-Bush-type administration, embodied here by a US secretary, evidently modelled on Condoleezza Rice. For the publisher, on the other hand, this is all good news: the media event stirred by the foreign minister’s revelation will mean an increase in sales. The book must be finished as soon as possible. To reveal any more of the plot would spoil your pleasure. This is a thriller, albeit seen through the eyes of a character who is never well-aware of what is going on, and still less a hot-shot private-eye. The ghost-writer finds out about reality out of mere curiosity and luck. The start, fleetingly, reminded me of Christopher Nolan’s Insomnia where Al Pacino’s character struggles throughout the movie with his tiredness. In the first part of The Ghost Writer, McGregor tries to adjust to the new environment and time-zone: he is tired and things look blurred. Slowly the mist before his eyes (and ours) disappears and everything becomes clear, but not until the very end of the movie. The story leans too much on the thin Blair-Lang resemblance, but is nevertheless strangely compelling. Polanski’s exploration is more about the relationships between them than their politics. It reminded me of Hitchcock’s The Rope where we know from the beginning that a dead body is hidden in the living room, but what matters there is the relationship between the two who committed the murder and their former mentor, James Stewart. There are no visible CGI effects here; nor bombastic car chases or noisy explosions; in fact there are only one or two car accidents; one or two bullets exploded, but there is a good build-up of suspense. The best moments in The Ghost Writer are in fact the duets between McGregor and Brosnan (the one on the plane is excellent) and Mcgregor with Olivia Williams. In the final outstanding Hitchcockian scene we – the audience – discover the truth about Lang’s mysterious manuscript: there is a folded piece of paper which is passed from hand to hand that carries with it the revelation that we have been waiting for, the tension builds up to the perfect pitch and we finally see it shaped into the facial expressions of the two characters at the centre of that scene, just as we trace the swift denouement only in the reactions of the pedestrian passers-by. If you know anything about Polanski’s long-lasting troubles with the US justice system – you cannot fail to spot two or three parallels between Lang’s issues and the director’s own story. Robert Harris, friend of Peter Mandelson, was present with Blair as the 1997 election results rolled. His anger with the subordination of his country to American diktat is doubtless a theme Polanski has dwelt on. The timing may be accidental, but the current General Election in Britain has a strong sub-theme of the public’s rejection of Blairism (though both Labour and Conservative leaderships still seem to be in his thrall). That a movie questioning his patriotism by one of the most fluent original supporters of the Blair project should appear now seems highly suitable. Time runs slow in this movie and the gray-dark palette sets the tone of the movie perfectly. The sky is almost always gray and the air seems full of rain. 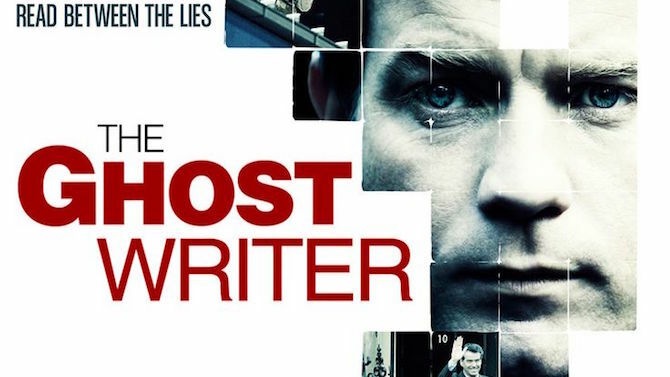 In such a depressing environment, when good movies are more and more a rarity, The Ghost Writer is beyond doubt an unexpected treat. Go and see it. Thanks. Your review whet my appetite to see the movie again — DVD can’t be too far off! hmmm, no sure i liked this as much as you. without spoiling, the “beginnings” twist at the end was more than a bit schoolboy-ish. plus i must say the book was a really rushed piece of polemic that was no way upto robert harris’ standards. what i find even more galling is that RH feels it is ok to defend peter mandelson(!) and condone the transgressions of polanski. Anyway, back to the film, what was going on with the accents? Cattrall, Tom Wilkinson and of course ewan mcgregor were all over the place!